I think it’s a known fact that waiting in line isn’t anybody’s favorite pastime. If it is…I need to meet this person! The reality is, though, that we will spend time in our lives waiting in line. Even at places like Walt Disney World. As much as we’d like to Fast Pass our way through all of the lines and life and general, that’s not happening. 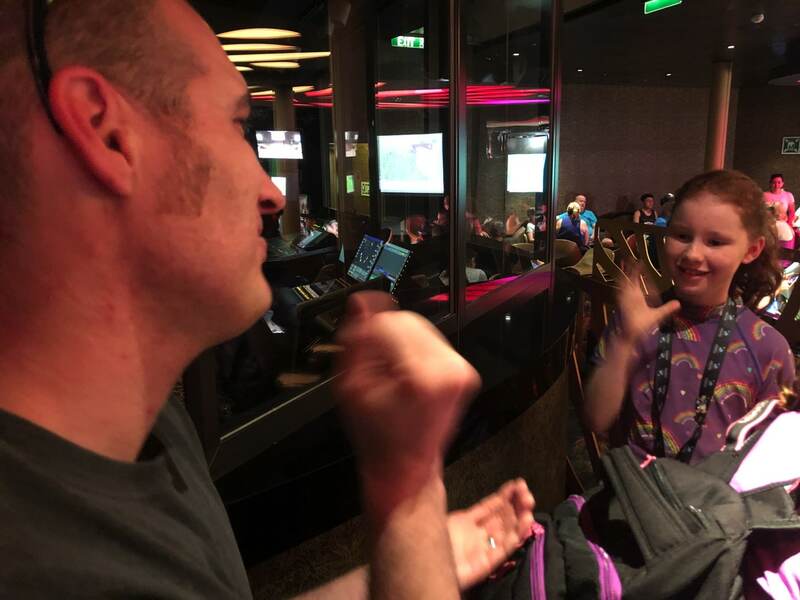 Our recent trip to Walt Disney World was unique for us as it was the first time we went on a trip with just our oldest two girls (11 and 9 years old). Previously, we had to divide and conquer the lines and to Ride Swap passes. We had secured quite a few Fast Passes, but there were still lines to be had and waiting for shows to start. We quickly planned out some ways to pass the time in the lines while still having fun with each other. I think it made the experience more fun because we have fun memories of waiting in line together instead of everybody doing their own thing. 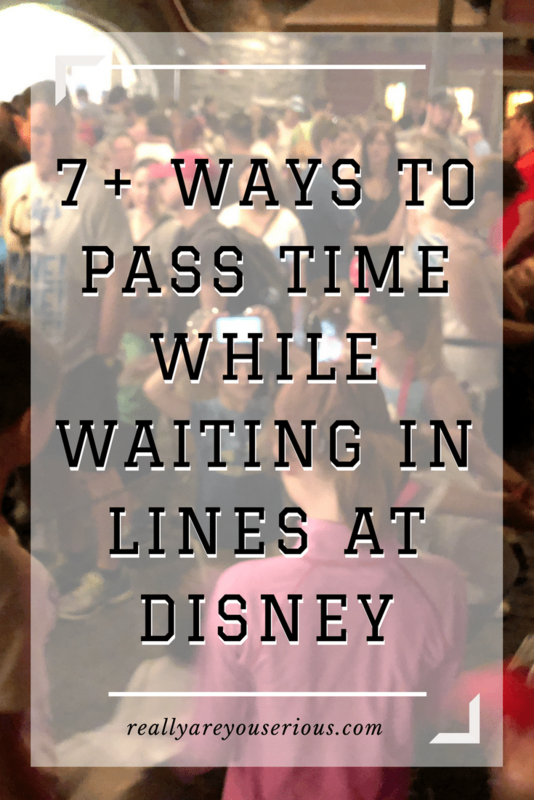 Here are some of our favorite ways to pass time while waiting in lines at Disney. 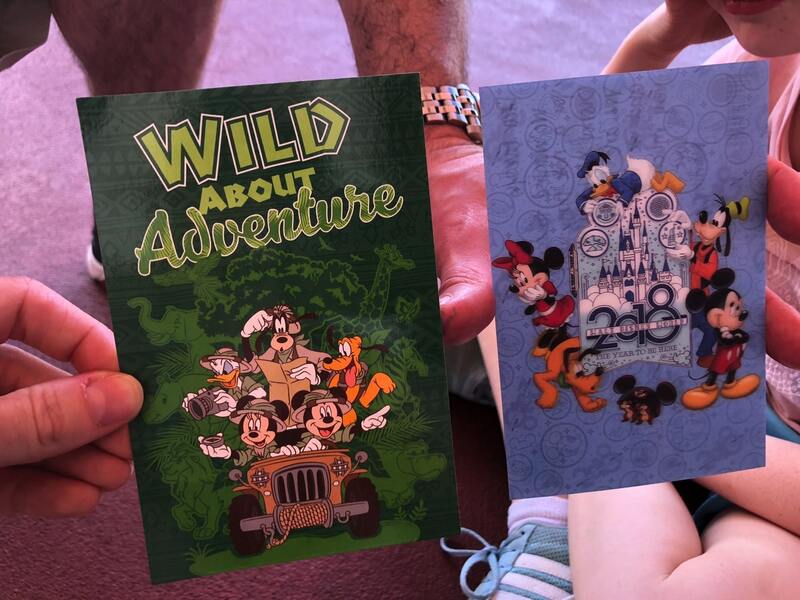 If you have a great memory, pick some postcards up outside of the parks to save a little money. Then fill them out while you are waiting in line. You can mail them to family that didn’t go on the trip, or even to yourself to have waiting for you at home when you return, or shortly after. If you take them to the store at the front of Magic Kingdom (Newsstand), they will add a Disney stamp for you! You can also buy postage here and find a mailbox just outside of the store to get them on their merry way. Lindsey has more tips for mailing postcards from Magic Kingdom Mailboxes. This was hands down everybody’s favorite game to play while waiting in line. Heads Up was $0.99 in the iTunes store and I think it’s free on Google Play. It was worth the $0.99. There are categories you can chose from and multiple people can play. We even found people around us would join in and try to get the person with the “card” on their head to guess what it said. This is the same game that you’ve seen Ellen play on her show, or similar to headbands. When you are in the park, you can unlock the Disney deck for free! Not to long ago, the Disney Experience App added the ability to see menus for restaurants and even place your meal order for counter service restaurants. Talk about a time saver. You can figure out what you want to eat without waiting in the food line, place your order and then let them know by finding the “Mobile Orders Here” sign and checking in. Once you are there, you won’t have to wait in the food line. You pay for the order with your Disney account and your meal or snack is ready in no time. 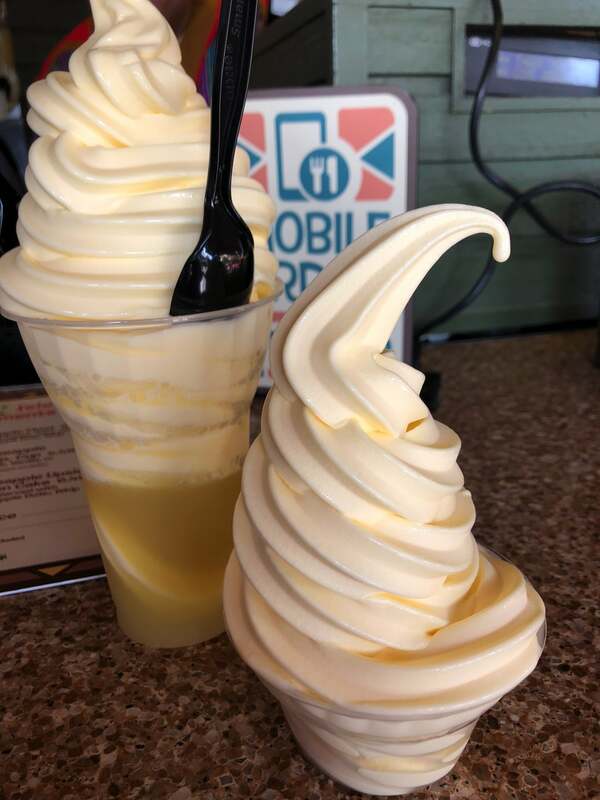 When waiting in the counter service line for a Dole Whip that was about 10 people deep, I signed into the app, paid for my order and walked over to the Mobile Order area and saved us a ton of time. Even if you aren’t ready to order, it helps to see the menus and decide where and what you’d like to eat. I had no idea how competitive you could get with Rock, Paper, Scissors, but these two definitely proved it was possible. Not only would they play in lines waiting for rides, but they also played waiting for us to get off the ship and onto Castaway Cay. There are even strategies for this game! Do you like pairing up different Disney or Marvel characters to see who would win? It’s super simple to toss out two names and ask another person who they think would win and why? Who would win between Prince Eric versus Genie? Who would win between Black Panther and The Hulk? Who would win between Thor and SpiderMan? Who would win between Cruella DeVil and Maleficent? It’s totally up to you and who you pick and the options are endless. “I spy with my little eye” is always a good one especially with little kids. Just make sure to note that it needs to be something you can see even after the line moves. After all, the line will eventually move! This is kind of similar to who would win, but instead you get to decide what you would rather do. Would you rather have a Genie and three wishes, or would you rather have a glass slipper? Would you rather be Ariel with land legs or be a mermaid? Would you rather eat and dream of eating honey all day like Pooh, or would you rather go to Neverland and never age? If you need more ideas, I found a fun set of would you rather prompts you can use. 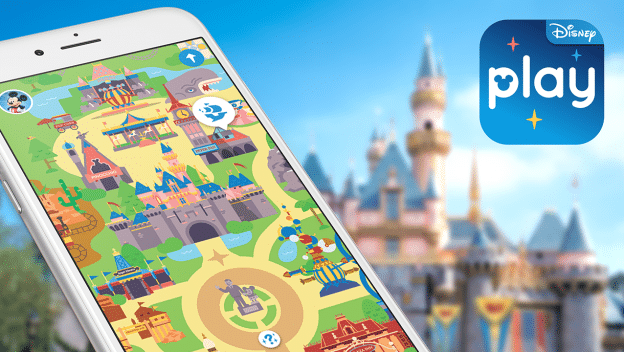 Recently announced to launch in Summer of 2018 is the Play Disney Parks app. This will be another fun way to pass the time. The app will be free on both iOS and Android. 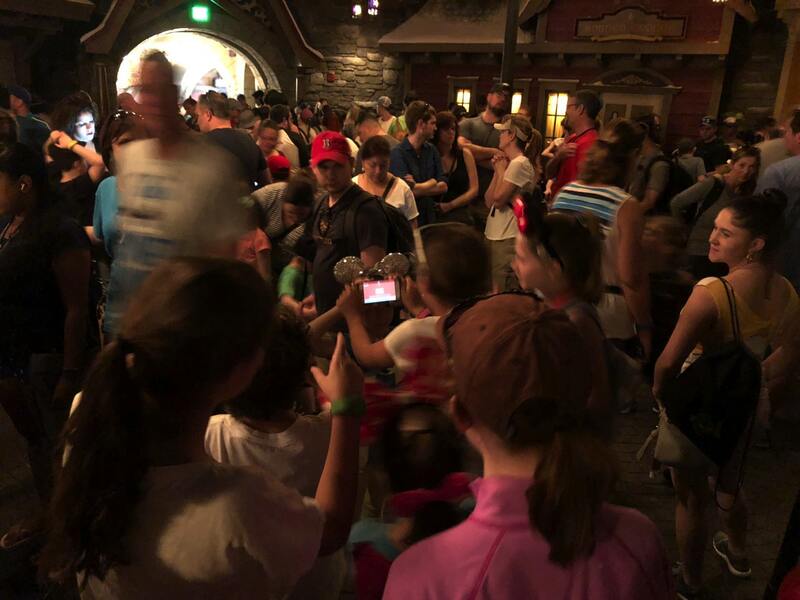 Sometimes waiting in lines at Walt Disney World and Disneyland (and many other places) isn’t fun, but there are a lot of ways to kick up your line waiting experience and make it just as fun as the actual ride. Or at least close! If you don’t like waiting at lines, check out a Disney VIP tour where the guide acts as your fast pass and you get to ride all of the rides or experience all of the things. I’ve written about my VIP experience if you want more information. A snack and a postcard…can’t go wrong with either! The Heads Up game was so much fun I downloaded it on my phone too! I STILL have not downloaded HeadsUP on my phone. And I need to do it this week so I can get the free Disney Pack when I’m on property!!! Home is where your wifi connects automatically……. Yes, you need to do it! Surprisingly it wasn’t hard to do it in the park or get the extra deck…just don’t do it in Norway…bad signal there. these are all great tips. I think adding the order ahead option at the restaurants is great.